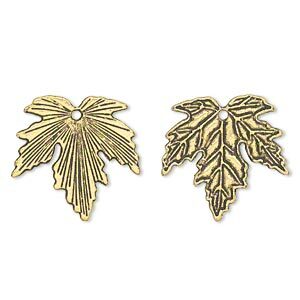 Charm, gold-plated brass, 12mm maple leaf. Sold per pkg of 50. 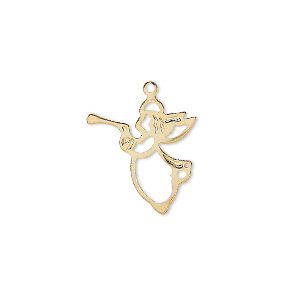 Item Number: H20-7574FD Have a question about this item? 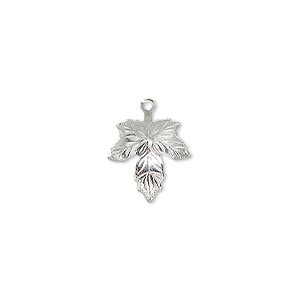 Charm, silver-plated brass, 12x12mm maple leaf. Sold per pkg of 50. 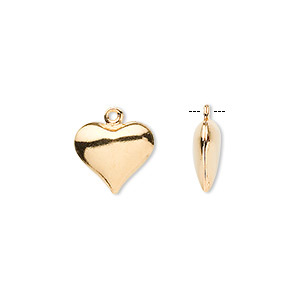 Charm, gold-plated brass, 12x11mm double-sided puffed heart. Sold per pkg of 100. 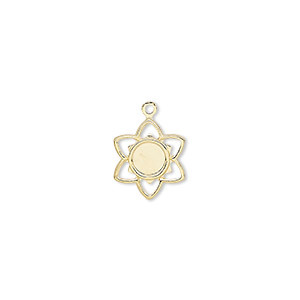 Charm, gold-plated brass, 11x11mm flower with 4mm round setting. Sold per pkg of 50. Charm, gold-plated brass, 17x16mm angel with loop. Sold per pkg of 10. 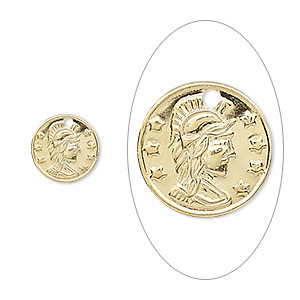 Charm, gold-plated brass, 10mm Roman coin replica. Sold per pkg of 50. 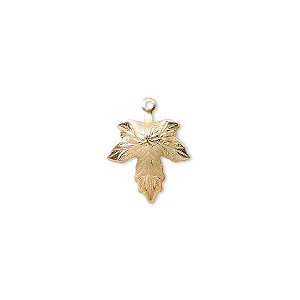 Charm, antique gold-finished "pewter" (zinc-based alloy), 27x26mm maple leaf. Sold per pkg of 12. 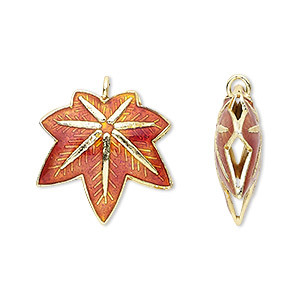 Charm, cloisonné, enamel and gold-finished copper, red, 20x20mm double-sided maple leaf. Sold per pkg of 4. 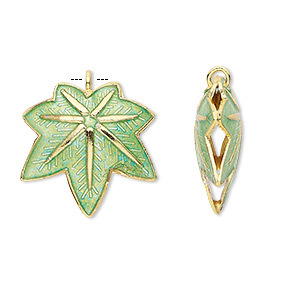 Charm, cloisonné, enamel and gold-finished copper, green, 20x20mm double-sided maple leaf. Sold per pkg of 4. 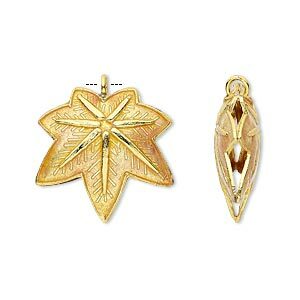 Charm, cloisonné, enamel and gold-finished copper, orange, 20x20mm double-sided maple leaf. Sold per pkg of 4.